You dedicate yourself to the best, and you deserve a community that provides all that you expect in an apartment home. Whether you want planned activities, peace and quiet, or just a quick response to your service requests, you will find it all at Huntington Apartments. 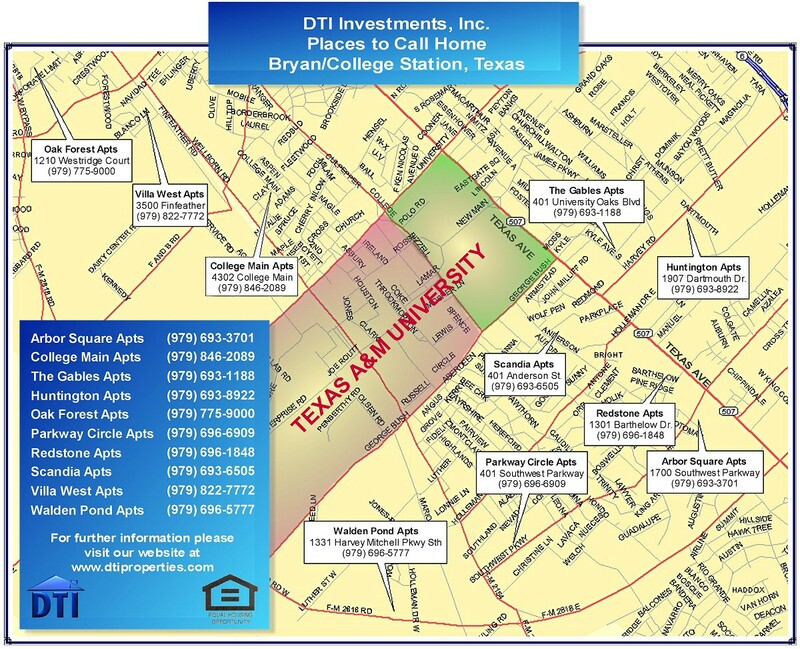 Huntington Apartments are conveniently located on Dartmouth, just a few blocks from the Texas A&M University Campus. Please call our leasing representative for more information or a tour of Huntington today ! One Bedroom / one bath ~ 626 sq. ft.
Two bedroom / one bath ~ 828 sq. ft.
Two bedroom / two bath ~ 921 sq. ft.
Three bedroom / two bath ~ 1160 sq. ft.